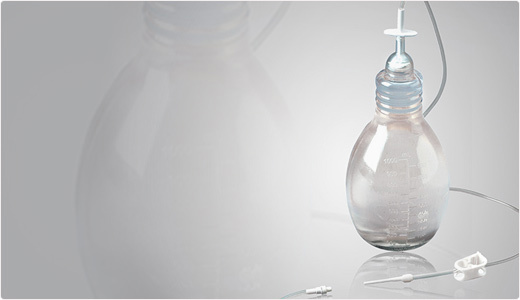 The UK’s National Institute for Health and Clinical Excellence (NICE) has published final guidance supporting use of CareFusion’s PleurX® catheter system in all patients with treatment-resistant recurrent malignant ascites. The case for adopting the PleurX peritoneal catheter drainage system in the NHS is supported by the evidence. The available clinical evidence suggests that the PleurX peritoneal catheter drainage system is clinically effective, has a low complication rate and has the potential to improve quality of life: it enables early and frequent treatment of symptoms of ascites, in the community, rather than waiting for inpatient treatment. The PleurX peritoneal catheter drainage system should be considered for use in patients with treatment-resistant, recurrent malignant ascites. The PleurX peritoneal catheter drainage system is associated with an estimated cost saving of £679 (c$1100) per patient when compared with inpatient large volume paracentesis. The document describes the PleurX peritoneal catheter as being designed to remain in place indefinitely, with patients and carers trained to perform fluid drainage when needed by attaching the vacuum bottle to the catheter. The catheter drainage system is inserted into the patient’s abdominal space and enables fluid build-up to drain out into a vacuum bottle. Repeated drainage of ascitic fluid in community settings may allow greater patient independence, and the flexibility to fit the drainage procedure into their daily lives. Better symptom control by frequent drainage of smaller quantities of ascitic fluid. (Symptoms associated with the accumulation of large amounts of ascites include breathlessness, nausea, bloating, acid reflux, abdominal pain, early satiety, reduced mobility and psychological distress related to negative body image). Reduced need for repeated large-volume paracentesis procedures and the associated risk of infection from repeated catheter insertion. Resource savings through a reduced need for hospital physician and nurse time, outpatient visits and hospital bed days. CareFusion’s website has more information, here.